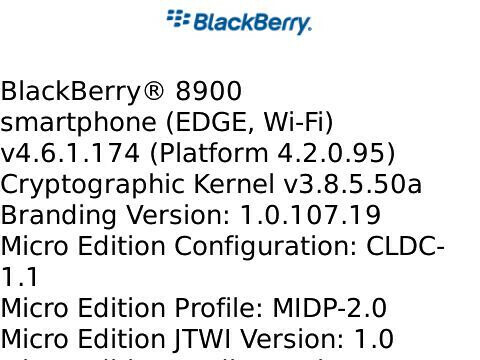 Two of RIM's newest BlackBerry models each received an unofficial firmware upgrade. 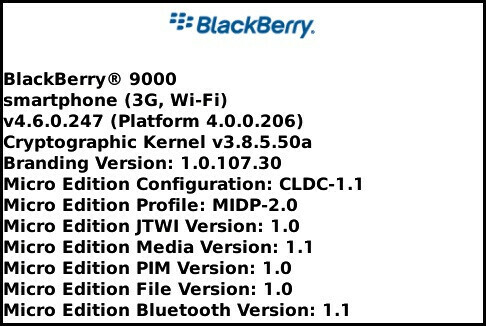 The BlackBerry Bold 9000 and the BlackBerry Curve 8900 were the recipients of OS 4.6.0.247 and OS 4.6.1.174 respectively. The Bold upgrade appears to resolve a problem the device had with deleting pictures and there seems to be an increase in the speed of some of the phone's applications, like the browser. As for the Curve's firmware fix, the general consensus can be summed up in one word, "snappier", which refers to applications like the camera and the browser. Signal strength is improved upon as are YouTube videos and ringtones are sounding louder on the Curve following the update. Since neither download is an official release from each unit's carrier, we remind you to be careful as downloading a leaked OS upgrade could do a number of bad things to your handset from voiding your warranty to actually bricking the device. If you own either phone and loaded the latest leaked OS onto it, please let us know what changes, if any, you have noticed on your 'Berry.